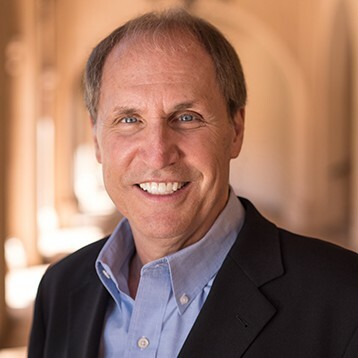 Jeff Wolf is recognized as one of America's most dynamic speakers, was named one of the nation's top 100 thought leaders by Leadership Excellence Magazine and throughout the years his passionate messages have captivated audiences around the world. Fear of making a mistake can cripple even the most talented leader’s efforts to succeed. It stifles creativity and discourages risk-taking, while upping the stress ante and creating a tense work environment for everyone within a department or team. Imagine how many inventions and technological innovations would never have become realities if the people who came up with them had been afraid to fail! Anyone who ever did anything truly great failed first. Failure is part of trying. It will happen. What matters is how you deal with it. Famous failures include Abraham Lincoln, Thomas Edison, and Michael Jordan. They prove failure can be a powerful teacher that leads to success. Worrying about making mistakes is counterproductive, zaps your energy, and leads to a self-fulfilling prophecy. You may irrationally fear that you’ll never be good enough and that you’ll face the disapproval of other negative feelings if you’re less than perfect. This can cripple you, especially as you move up the career ladder and take on new responsibilities that are outside of your comfort zone. I encourage managers and leaders to write down their fears. This forces them to acknowledge these anxieties and dissect the faulty logic that may paralyze them. Consider keeping a journal that tracks what’s bothering you and how you react to missteps. Does one type of error bother you more than another? Are you better able to recover from a mistake when you’re having a good day? What, exactly, are you feeling? Humiliation? Embarrassment? Depression? A sense of even greater fear? How can you use reality checks to weaken the hold these feelings have on you? You need to practice being unafraid. Perform at 100% of your capacity, and recognize that mistakes will still occur in rare circumstances, despite your best efforts to prevent them. Needless to say, if you make huge errors regularly, you may be in way over your head. If you’re a leader or manager who is plagued with chronic anxiety and unrealistic perfectionism, you must learn to diffuse the fear time bomb so you can succeed at the work you love.